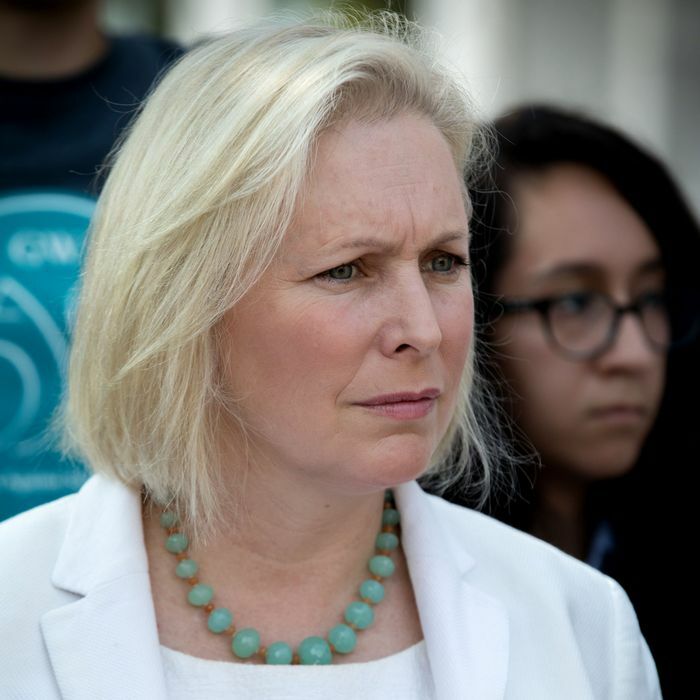 While all eyes were on Senator John McCain during last night’s health-care vote, Senator Kirsten Gillibrand was seen quietly making her way around the Senate chamber asking for signatures on a letter to Defense Secretary Jim Mattis. The letter, which was published Friday with 45 signatures, urges Mattis not to impose a ban on transgender troops in the military — at least until he’s completed a thorough internal review. The letter comes in the wake of President Trump’s surprise announcement on Twitter that transgender troops would not be allowed to serve in the U.S. military “in any capacity.” Several Republican lawmakers have criticized the ban (which, by the way, is unconstitutional), but only one signed Gillibrand’s letter: moderate Susan Collins. The rest of the signatures are from Democrats. On Thursday, the chairman of the Joint Chiefs of Staff said that the military’s policy on admitting trans soldiers hasn’t changed — “There will be no modifications to the current policy until the President’s direction has been received by the Secretary of Defense and the Secretary has issued implementation guidance,” he wrote in a memo. With this letter, and with legislation she plans to introduce, Gillibrand is reportedly hoping to stop the ban before it starts.